A high performance water soluble, anti corrosion primer suitable for use on all types of metal surface. Does not contain Zinc Phosphate like most traditional primers, (Zinc Phosphate is an environmental hazard). Ferprime C is a thickened product, suitable for application by paint brush. The non drip formulation means it can be used on vertical surfaces. A single coat of Ferprime C will give around 20 microns of cured film. Coatings are touch dry in around 30 minutes and can be overcoated after 2 hours. Full cure is achieved after 24 hours. A formulated temporary anti corrosion coating that can be used on all surfaces to prevent corrosion. Rustbar forms an almost transparent waxy film that is impervious to moisture. It is “self healing”, thus preventing corrosion of the underlying surface. 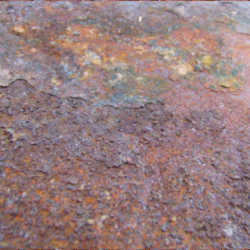 Rustbar can be applied by brush or spray. It offers around 12 months protection from corrosion. Rustbar can easily be removed with Natech WPR, followed by a water rinse.